Surprisingly we'd never tried Lucky's Famous Burgers though its kitschy red and yellow interior is precisely the type of place you could find us at. We had the Lucky Cheddar Burger, which was pretty fine if it not a bit on the dry side. 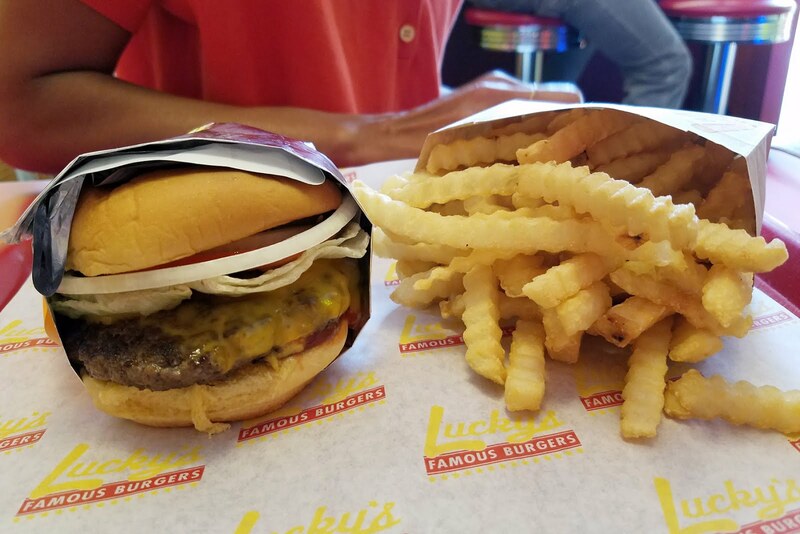 No reason to go out of your way, but if you need a reasonably quick bite that isn't overly processed, Lucky's is your place.